Per Lindstrand is a remarkable aeronautical engineer, pilot and pioneer/adventurer with world-wide recognition for his achievements in breaking through the boundaries of lighter-than-air technology. He has held every absolute world record for hot air balloon flight in terms of distance, duration and altitude, and is particularly known for his series of record-breaking trans-oceanic hot air balloon flights and for his attempts to be the first to fly a Rozière balloon around the earth with Sir Richard Branson. 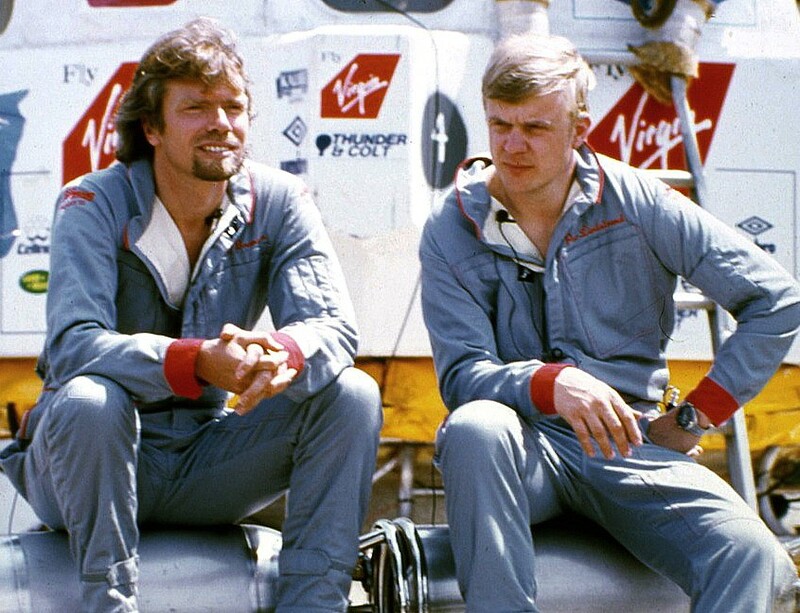 Per’s Atlantic crossing with Sir Richard in July 1987 increased the distance record from 900 miles to 3,075 miles and the following year, Per made a successful solo attempt on the world altitude record, beating the old record by 10,000 feet, flying his Stratoquest balloon to 65,000 feet in Laredo, Texas. In January 1991, Per and Sir Richard set two new world records for distance and duration completing the longest flight in lighter-than-air history by piloting their Pacific Flyer balloon 6,761 miles from Japan to Northern Canada. Then in December 1998, partnered by Sir Richard, Per flew for seven days and covered 20,000 kms in a Rozière balloon from Morocco to Hawaii. Per not only flies balloons, but all other aircraft as well having an airline transport pilot’s licence for single and multi-engined land and sea aeroplanes and helicopters, and a commercial pilot’s licence for auto-gyros, airships and gliders. He has received numerous awards for achievement and his outstanding contribution to the aeronautical industry including the Royal Aero Club’s Gold Medal presented by Prince Andrew in both 1989 and 1991. The Royal Aeronautical Club’s Britannica Trophy was presented to Per by Lord Brabazon in 1988 and America’s most prestigious flying award, the Harmon Trophy, was given to Per by Vice-President Quayle in the White House. Per also features in the Guinness Book of Records. Born in Sweden, Per’s aeronautical career began in the Swedish Air Force and after gaining a degree in Aeronautical Engineering, he spent some time working for SAAB Aircraft in Sweden and Lockheed in the USA. Per moved to England in 1978 to start up Colt balloons Ltd., and has remained here ever since, becoming firmly rooted in Oswestry where his family home is located. Per’s interest in becoming a balloon manufacturer stemmed from his desire to extend the frontiers of balloon technology, as he observed there was a market opportunity to build and sell a properly engineered product in what was then more or less a cottage industry. In 1978 Sweden had a booming economy, whilst Britain offered a much lower cost structure for manufacturing a product as labour intensive as a balloon. So Per decided to set up his business, Colt Balloons Ltd, in England rather than his native Sweden. Colt Balloons (and later Thunder & Colt’s) became internationally acclaimed for its engineering excellence, a reputation that continued when Per founded Lindstrand Balloons Ltd (LBL) in December 1991. Based in Oswestry at its purpose-designed 40,000ft2 factory, the company, now renamed Lindstrand Technologies Ltd (LTL), designs, manufactures and repairs airships, aerostats and gas balloons, passenger carrying aerostats and a whole host of leading-edge fabric engineering products. In addition, with its highly skilled workforce, all with experience in the lighter-than-air industry, Per’s rapidly expanding business can provide a full consultancy, design, build and management service for special projects. Earlier in 1999 LBL, in partnership with Daimler Chrysler Aerospace of Germany, was awarded a design contract by the European Space Agency (ESA) to develop a high altitude long endurance airship for possible use in the telecommunications market. As a result of this, and having more than 20 years’ experience of lighter-than-air technology, Per was awarded the German-based Körber Prize for engineering excellence. In 2002, LBL was awarded the contract to design and manufacture the parachute for the planned Mars landing – Marslander, Beagle 2. This was to be the most advanced parachute in the world and was delivered to the ESA in December 2002. The lander was launched in June 2003, the parachute deployed successfully, and Beagle 2 landed on Mars on Christmas Day. In February 2006, Per was awarded an Honorary Fellowship by the Royal Institute of British Architects (RIBA) for his highly innovative work in the field of inflatables and their application to habitable structures. In May 2009, Per was awarded the Lifetime Achievement Award from the AIAA Lighter-than-Air Technical Committee (American Institute of Aeronautics and Astronautics). This Award is given to those who, by their achievements, have contributed in a major way to the advancement of the science, operations, or manufacturing associated with buoyant flight. This award has been made to individuals like Jim Thiele of the American Blimp Company; George Spyrou of Airship Management Services; and Scott Danneker – test pilot of the Sentinel 1000 and NT 07 airships. The recipient is chosen by the LTA TC Committee. Per is the first non American citizen to receive this award in the history of the AIAA. For the past few years, Per Lindstrand has diversified his business developing a range of quality inflatable building designs and providing a bespoke design and manufacturing service to clients worldwide.